No one, however, tells you – before you procreate – to make the most of your vacation time because holidaying with a child can be harder work than being in an office. My husband and I are still filled with wanderlust, despite being new parents. Our 19 month old son may be filled with rage if he’s taken away from his tractors and diggers and he may be hell in a high chair if we break his routine, but we still need to escape. Longing to take a road trip, like the ones we used to do across the South from Kentucky to Georgia or abroad from Thailand to Singapore, but with William on board, we crossed our fingers and headed to New Mexico to take the child-friendly short ride from Albuquerque to Santa Fe. Can travelling with a creature that throws tantrums in public places ever be fun? Can fussy eaters find refuge in five star hotels? Thanks to the two hotels – and cities – we headed to, we’ve actually returned from a vacation for the first time since William arrived on Planet Earth feeling like one should after a break: inspired, invigorated and like we’ve eaten too much. Our first destination was something style watchers would call an Agri-tourism All-star resort, but we’ll just call it heaven for little boys. Family-owned Los Poblanos is a beautiful historic inn and organic farm, with a restaurant that takes field-to-fork dining from eco-sensible cool to utterly divine. As we checked in, William was declared a ‘little farmer’ and handed a personalized bag containing a cuddly pig, cow and goat stickers and a farm-related coloring book and crayons. Then waiting for William in our suite – a cozy hideaway complete with a roaring fire and an exquisite bathroom stocked full of lavender-scented lotions and potions , fresh from the purple field outside our window – was organic milk and warm, freshly baked cookies. The hotel had him at cuddly pig, so he happily trotted off to dinner at La Merienda – despite the late hour – and sat patiently while his greedy parents dived into the delights on offer: farm food with a spicy New Mexican twist, such as seared white bass on a potato celery root gratin with a spicy green tomato nage, followed by a sweet treat of pannacotta with a pecan snowball. The local cheese plate was the finest I’ve ever tasted. After a good night’s rest, the three of us tangled up together in the gigantic, super-plush bed, and a hearty breakfast of fresh fruit, farm-scavenged honey and eggs Benedict, we wandered off to the farmyard, where William was invited to milk the goats and collect fresh eggs from the chickens. He also chased peacocks, mooed at the cow and tried to brush the farm’s ginger tom with a broom he found in the tractor shed. After two hours of frolicking in the fresh air with his new furry friends, it was time to leave and exhausted by all the excitement, he slept all the way to Santa Fe – which is what every parent dreams of! Checking into the uber-cool and classy Four Seasons Resort Rancho Encantado took my little boy from mini farmhand to Little Lord Fauntleroy. Here, he was a happy traveler for very different reasons: dreamy chocolate brownies and milk waited for him fireside, which he was allowed to help build with his daddy. When he was finished with that, he turned his attention to the Native American drum, positioned as a side table next to the bed, which he played for ages – until it was time for him to take a dip in the bath, the most humongous I had ever seen which must have looked like a swimming pool to William. As he splashed about, I washed him down with the array of baby products that had been thoughtfully left for him – and then wrapped him up in a miniature white robe, quite possibly the cutest thing I have ever seen him in. 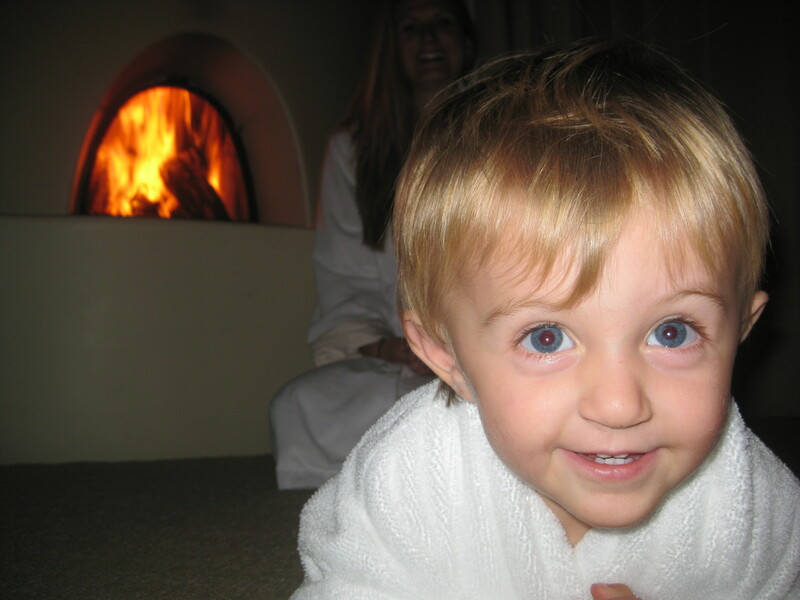 After we’d all had our baths, the three of us sat around the fire, wearing our matching robes, William looking at photos of cowboys and horses in a Santa Fe tourist magazine; my husband and I sitting silently, dumbstruck that travelling with a child could not only be done, but could be enjoyable. The next day, while the boys went off for a mini-hike on the grounds of the hotel, I had some mom-alone time. Bliss. 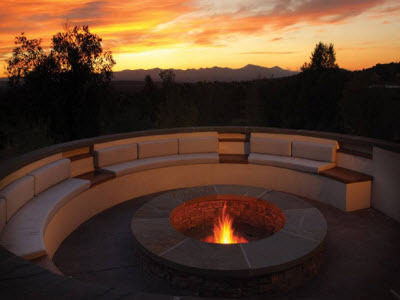 Designed to reflect the sacred kiva rooms of the indigenous Pueblo Indians, the treatment areas have a pared-down Southwest style that force you to leave your troubles and to-do lists at the front door. Sue, my massage therapist, gave me a fascinating Santa Fe history lesson while she buffed and soothed me with warm coconut oil and wrapped my feet in hot towels, then sent me off to the warming room – a relaxation lodge complete with a log fire, cashmere blankets and chamomile tea – where I forgot about the 19 months of disrupted sleep I’d endured, feeling ten years younger. Dinner at the Four Seasons ranch is not for the faint-hearted. 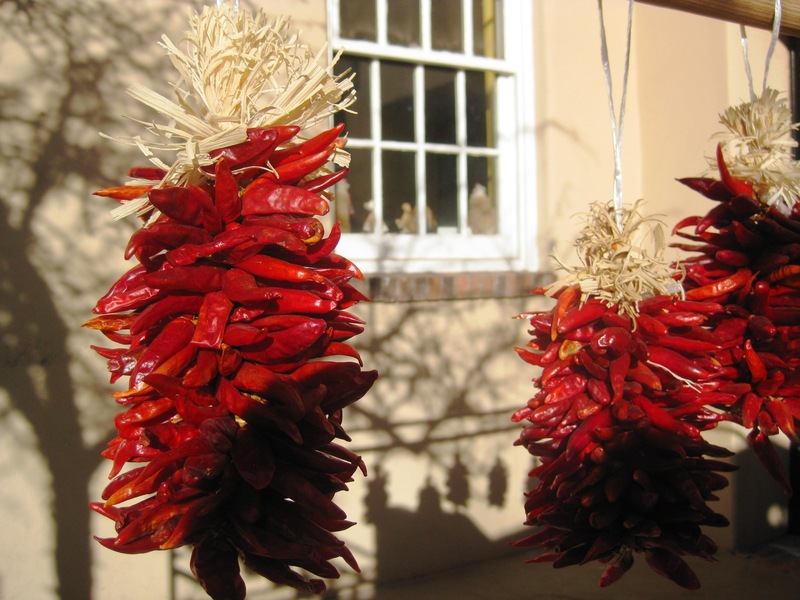 You will want to try everything, even the spiciest dishes that will leave your lips on fire (New Mexicans really are obsessed with chile!) and the desserts are so delicious, you may have to order two. My husband did. He blamed all the high-desert air for increasing his appetite, I blamed his taste buds: why wouldn’t he want to try the signature sundae (house made churros, tequila caramel sauce and dulce de leche ice cream) while he was waiting for his dark chocolate soufflé (with green chile cream!) to rise to perfection? Thankfully, William sat enchanted by the monster of a bread basket that greeted our arrival and the spaghetti I chose for him from the healthy kid’s menu. 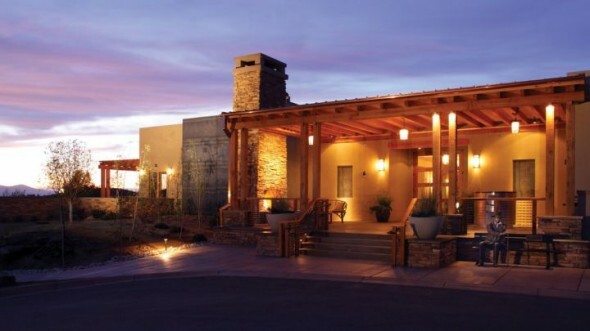 The two hotels we enjoyed on our New Mexican adventure were so good we had to force ourselves to leave the grounds. But we’re glad we did – to get our art on at the Georgia O’Keefe museum near the Old Plaza in Santa Fe, and to get scared at the Rattlesnake museum in Old Town Albuquerque, a place that gave me the heebie-jeebies, but the little lad loved. We left New Mexico with a new appreciation for hot food, high-dessert skies and their infinite stars… and most importantly, the courage to take on more road trips. Have child, will travel. Yeehaw! When it comes to lavish getaways, we love jaunting to the islands and, for those who want to see a lot in a short amount of time, or simply want a lot to do without having to think hard about it, few holidays can beat a cruise in terms of spectacular scenery, indulgent lifestyle, and downright luxury. With all of those gorgeous destinations and first-rate onboard facilities rolled into one, not to mention the exquisite dining and professional entertainment, it can feel like you’re living the millionaire’s lifestyle (and eating like one too). And if you really want to push the boat out, what better way to do it than on a Caribbean cruise? Let’s face it, Caribbean cruises bring new meaning to luxury holidays. As if the lavish onboard lifestyle and all that wining and dining isn’t quite enough, a cruise around the sizzling Caribbean islands really bumps the luxury factor up a few notches. Whether you opt for Barbados or the Bahamas, St. Lucia or St. Kitts – or perhaps the whole shebang – a Caribbean cruise is really quite special. One popular cruise operator that specializes in making sure Caribbean cruises really do have that X factor is Royal Caribbean International, and they have dozens of luxurious liners ready to take you there. One particular liner that ramps up the luxury stakes is Splendour Of The Seas – and it’s not hard to see why. Following an extensive makeover in 2011, this impressive ship has been fine-tuned and polished, ready to whisk holidaymakers off to some of the most beautiful locations in the world. Among the new features are an onboard art gallery, outdoor movie screen, a nightclub, a swish new cocktail bar, several new restaurants, and a lively new entertainment area in the five-storey atrium complete with high-flying antics and aerobatics. 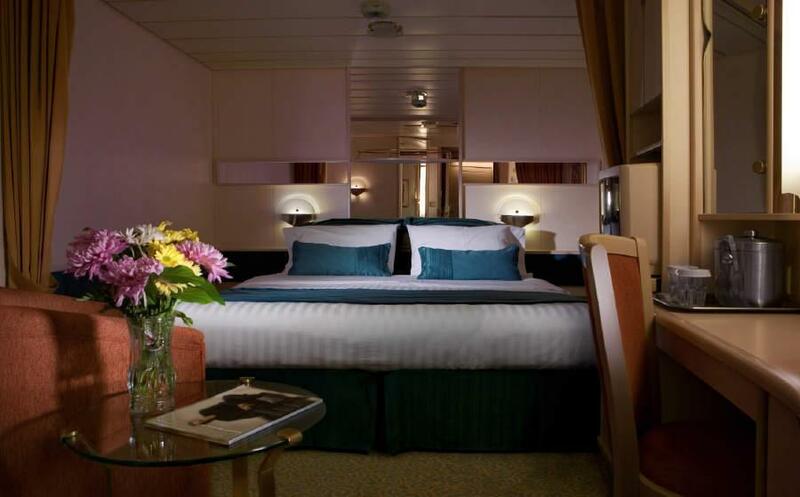 In addition there are scores of other things to see, do and experience onboard the Splendour of the Seas including mini golf, rock-climbing, full-sized sports courts, fitness centre, a vast array of kids’ attractions and of course plenty of entertainment for the adults once the sun goes down. 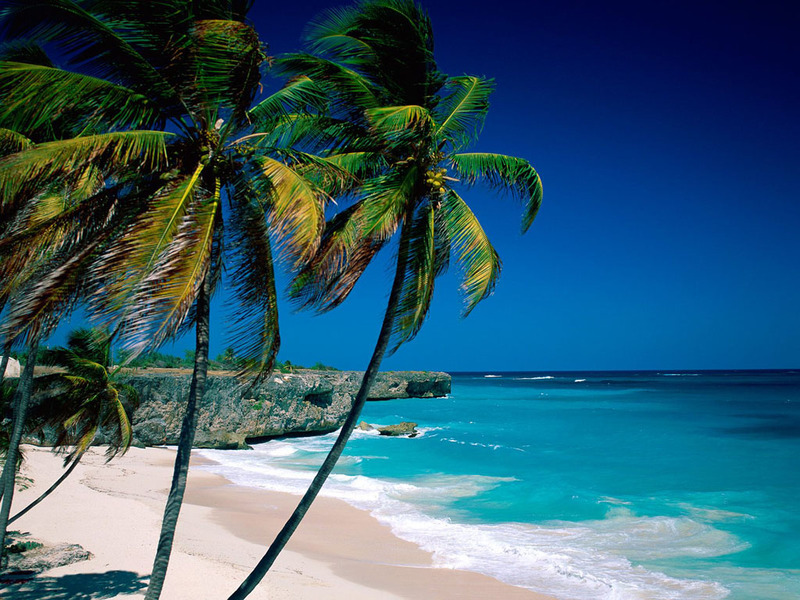 Here are some: great Caribbean cruise deals! For travellers, Istanbul is so much more than a bargain hunter’s dream. Throughout history, Turkey’s former capital city possessed all the power and status of a cultural and political superpower at the heart of both the extensive Byzantine and Ottoman Empires. These days, Istanbul’s rich cultural heritage is combined with the frenetic activity of a modern, cosmopolitan city. Tourists can explore ancient city walls and traditional mosques and churches by day, and enjoy an exhilarating social scene by night. 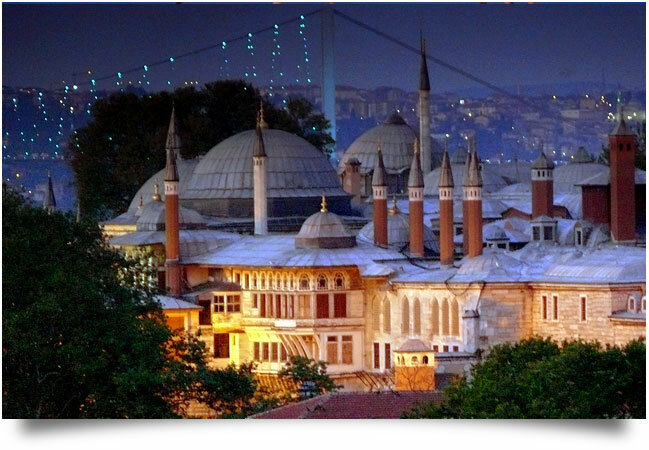 History buffs will tell you that the city of Istanbul was originally known as Byzantium. Colonised by Greek settlers in approximately 680 BC, the city had a seaside location that soon meant that it became an important centre for trade. This was especially the case for luxury goods such as silks and exotic spices that passed through the city on their route from East to West. Captured by the Roman Emperor Septimus Severus in 196, Byzantium was integrated into the Roman Empire. The city flourished as a centre for arts and culture and quickly became the political capital for the eastern half of the Roman Empire. It was renamed Constantinople (Constantine’s city) under the rule of the first Christian Roman Emperor, Constantine the Great, and became an important centre for Christianity; the world’s largest cathedral, the Hagia Sophia – transformed into a mosque, and now into a museum – is still open for tourists to visit in the present day. Economically weakened by the crusades, Constantinople was inevitably conquered by the Turkish nobleman Sultan Mehmed II in 1453 and renamed Istanbul. The Sultan founded an Islamic dynasty – the Ottoman Empire – lasting over 600 years. 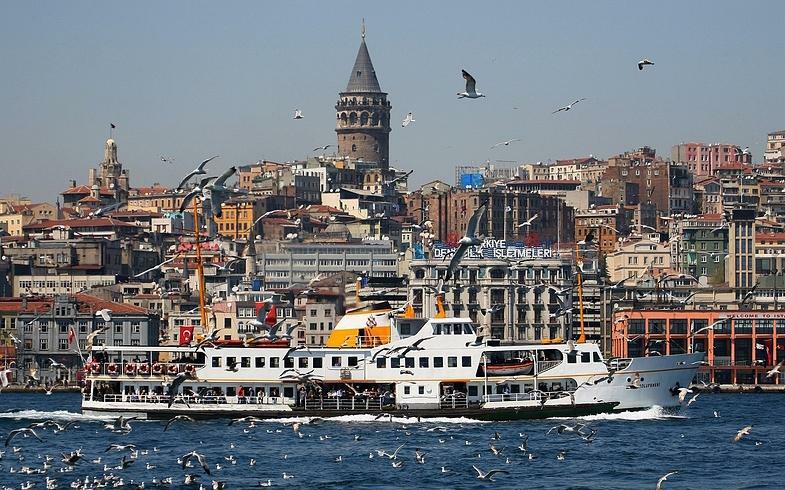 Modern Istanbul is a cultural melting pot of both Christian and Muslim heritage and architecture. Though Ankara is now the capital of Turkey, Istanbul continues to be an important city for trade and tourism. Sitting at the crossroads of two continents (Europe and Asia), the city is divided by the Bosphorus, a strait of water frequently navigated by ships on a European cruise as well as by trade ships on their way to Asia and the Black Sea. Now you’ve swatted up on the history, time to get yourself out and about for that authentic Istanbul cultural experience. If you’ve already checked out the Galata Tower, Rumeli Hisari, Topkapi Palace (where you can also grab a bite to eat and have some Cherry juice… yum!) and the Blue Mosque and still don’t have flagging feet, what better way to get to know the city than by shopping? The Grand Bazaar is just the place to do just this – everything from traditional spices and silks to handbags, shoes, and jewellery, to lamps, shishas, vegetables and sweets are on display and ready for you to buy. 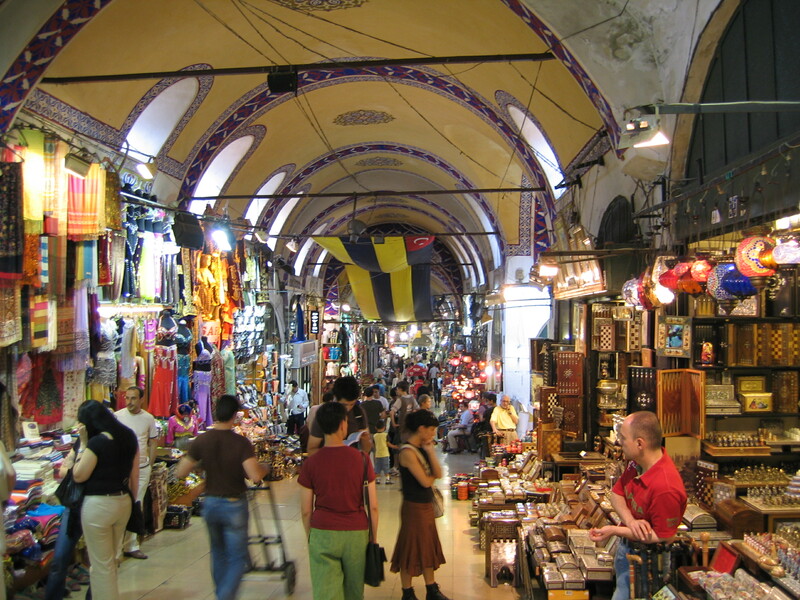 Haggle to your heart’s content as there are no fixed prices – those prepared to pay the price tags’ face value are missing out a valuable lesson about Turkish culture, as well a great deal! Now take a break at one of the street cafes or shisha bars offering refreshing mint teas, baked goods just dripping with honey, and real Turkish Delight. Café Meşale just behind the Blue Mosque has live Turkish music and dance performances to accompany your meal. Nightlife options in Istanbul are just as varied as everything else in the city; from traditional wine bars to Turkish taverns, roof bars to nightclubs, there is a wealth of experiences to be had. 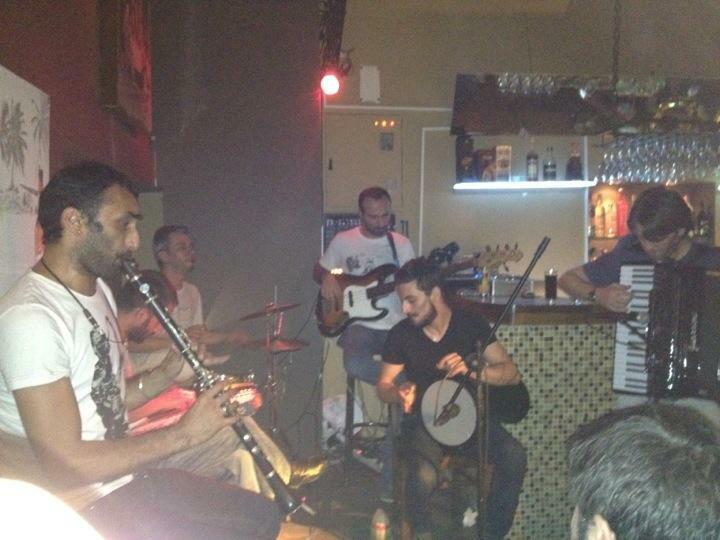 The bars, basement jazz cafes, and traditional Turkish venues of the Beyoğlu district provide an easy-going indie atmosphere; everyone is welcome, and will undoubtedly be quizzed as to his or her origin! Rooftop venue Kumbaracı Yokuşu has a mellow atmosphere with music and cocktails that make it the perfect place to start out the night. Follow up this up, perhaps by dropping into Arpa Bar, just a short walk away. If you’re feeling like a touch of glamour, head over to Ortaköy and attempt to get in to The Reina. 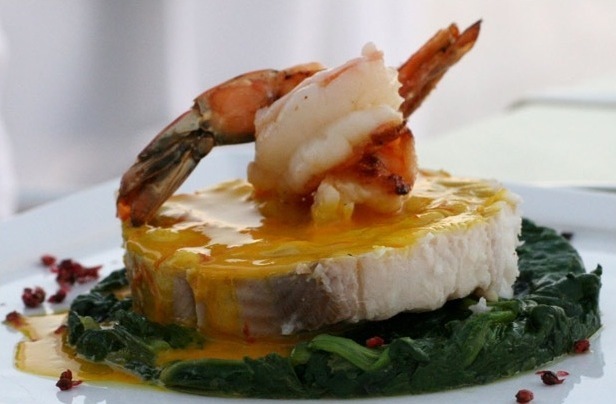 An upmarket club, it hosts several different restaurants and bars. It’s exclusive, expensive, and there’s a dress-code, but it’s great for celebrity spotting. 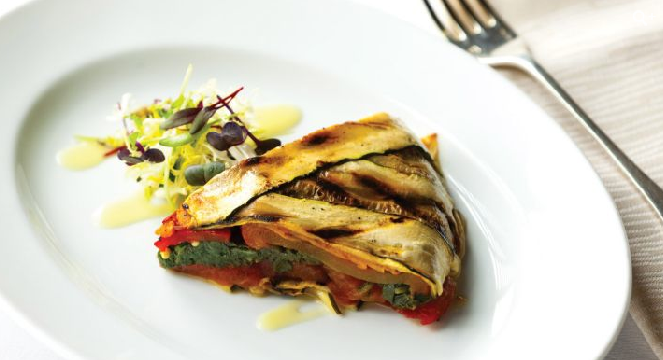 The Daily Meal’s 101 Best Restaurants in Europe list is out! While other Best of Europe lists have covered similar territory, no one else has covered 31 countries and enlisted the assistance of European food and dining experts to whittle down the continent’s thousands of restaurants (beginning with 1,450) into a more manageable 101 – leaving only the essential restaurants that discerning diners must try. The Daily Meal covers all things food and drink, creating a complete epicurean experience for cooks, food lovers, wine, beer and spirit connoisseurs, discerning diners and everyone in-between. Comprised of original content and video from Award winning editors, industry insiders, tastemakers and the user community, The Daily Meal is one of the largest food sites on the Web and the first property of Spanfeller Media Group, founded by Jim Spanfeller. The list, which took seven months to curate, runs the gamut from French to fusion and traditional to molecular gastronomy, with all price points covered. No island, hamlet, principality, or city was overlooked. 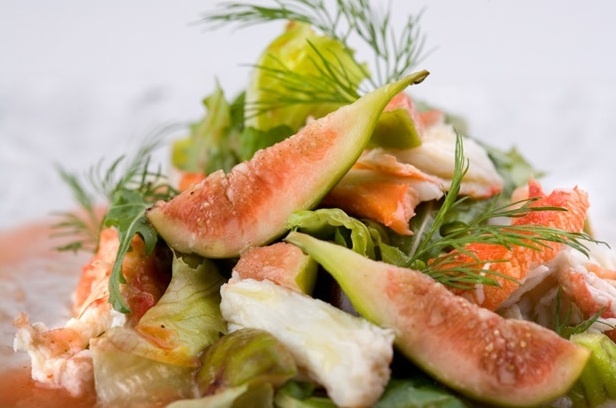 The list includes the most exemplary epicurean endeavors in Europe’s capital cities but also in far-flung locales. Consulting with Michelin Guide and other trusted sources, The Daily Meal gathered hundreds of recommendations from The Daily Meal’s editors, who have traveled and dined extensively around the world. They reached out to a panel of more than 200 knowledgeable judges, comprised of restaurant critics, food and lifestyle writers, and bloggers with wide restaurant-going experience. Then, they curated a separate panels by region so only experts on the UK voted for UK restaurants, Italy experts voted for Italy and so on. Panelists voted in two categories: cuisine and style/décor/service. 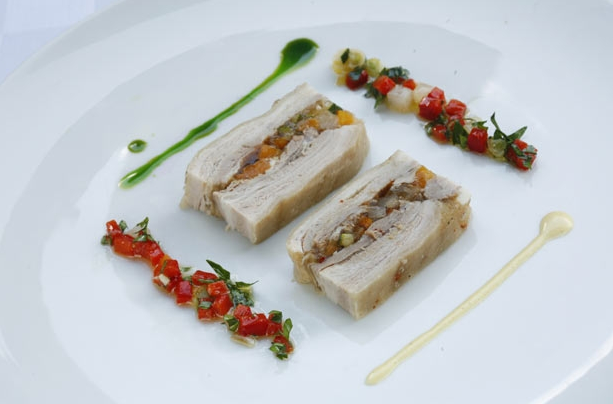 Cuisine: From innovative menu options to plating and presentation to freshness, quality, and taste, panelists evaluated each restaurant’s cuisine and only voted for the restaurants which they believe are extraordinary. Style/décor/service: panelists evaluated the dining experience, from the restaurant’s interior and dining room ambiance to the service, voting for the restaurants which they believe offer an unrivaled experience. So get your grub on – Euro style!